Director Takao Okada is proficient at English conversation and capable of offering consultations and examinations for English-speaking patients. If you are considering a dental implant in Japan, stop worrying about it alone. Visit us at Osaka Implant Center. 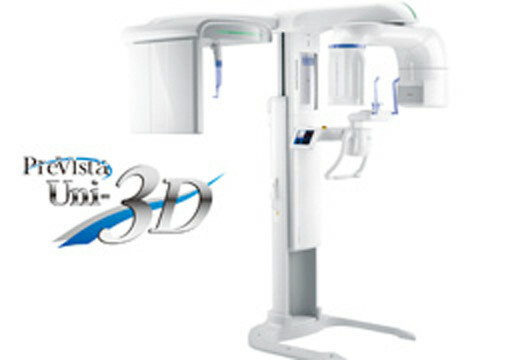 We pride ourselves in providing the best levels of dental implant services in Japan. 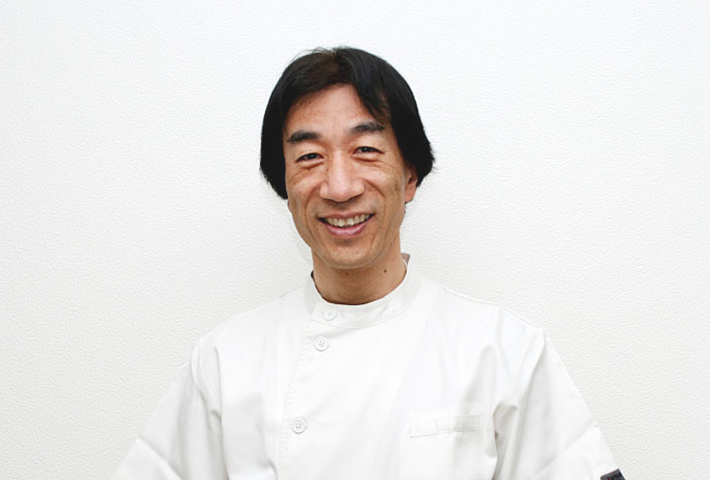 Director Okada not only performs operations himself but also engages in the development of dental implants. 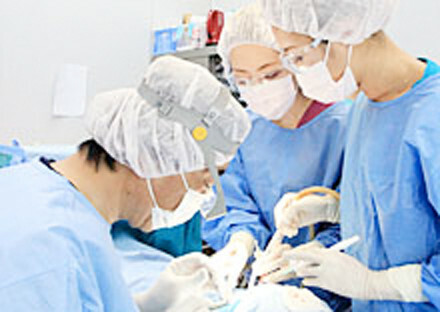 He is acclaimed as one of the best implant specialists in Japan. At Osaka Implant Center, we may be able to suggest a better course of treatment than that provided in your home country. Stop worrying and visit us for a consultation. We will recommend the best form of treatment for your condition. Thank you for visiting our website at Osaka Implant Center. I am the director, Takao Okada. At Osaka Implant Center, our first priority is your safety. Our commitment has won us a following from patients both in Japan and abroad. In response to the growing number of inquiries from foreign patients, we have set up a multilingual web page to introduce our services. Our patients come to us for various reasons. Some make a special trip to Japan for an implant, and others experience dental problems while working in Japan and begin their search for a reliable implant surgeon. Quite a few patients who had been refused treatment for a difficult condition elsewhere completed treatment successfully at Osaka Implant Center. Please don’t hesitate to come to us for a consultation. We are ready to tailor a plan for you and offer the best possible treatment. We accept lump sum cash payments and installments by credit card. For details, please consult our staff. We accept major credit cards. Kindiy notify us in advance if you plan to pay by credit card. ※The number of payments and service charges vary by credit card company. 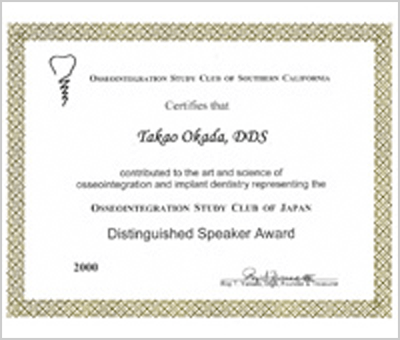 Director Takao Okada, who will perform your operation, is a qualified surgeon invited by dental associations, symposiums, and universities to give speeches and presentations around the world. 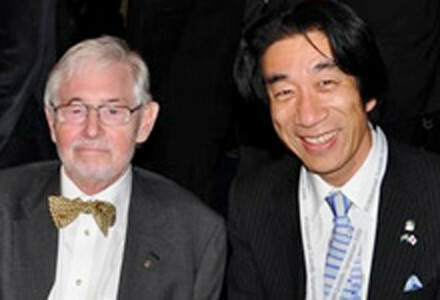 Having been acquainted with Per-Ingvar Branemark (1929?2014), known as the father of modern dental implantology, Director Okada continues to hone his knowledge of dentistry with an eye toward making presentations at various meetings and conferences. Below is a select list of Director Okada’s work in dental association conferences, symposiums, and university speeches, demonstrating that he is not the average dentist who merely offers treatment. 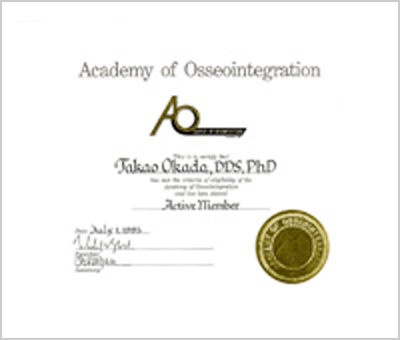 Selected as active member of the Academy of Osseointegration, 1995. Invited as renowned speaker to the annual meeting of the Osseointegration Study Club of Southern California, and presented with a Distinguished Speaker Award, 2000. Giving a speech at Peking University, in China, 2000. Addressing an audience of passionate oral surgeons proved to be a rewarding experience. 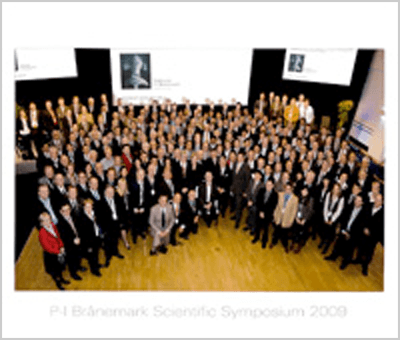 P-I Branemark Scientific Symposium 2009, held for three days in Gothenburg, Sweden, was a prestigious event to which only 100 dental implant surgeons from around the world were invited to attend. Of the 15 Japanese surgeons, 10 were university professors and only five were private practitioners. Meet the World of Dentistry in Berlin 22, held in 2009, celebrated the 60th anniversary of the founding of Quintessence Publishing, the world’s largest publisher specializing in dentistry. A total of 149 speakers representing various branches of dentistry were invited from around the world. Director Okada was one of eight speakers invited from Japan. At Osaka Implant Center, we ensure the safety of the patients by including a systemic management physician in the operating staff, even for surgeries involving a single implant placement. 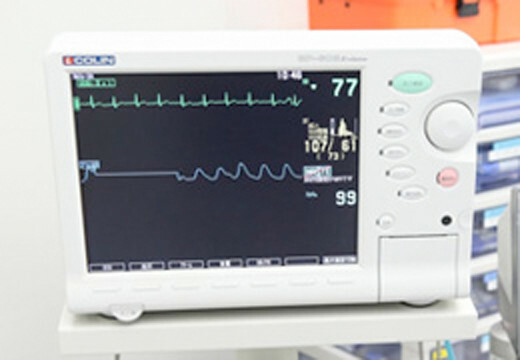 The systemic management physician administers intravenous sedation to alleviate anxiety and discomfort prior to surgery, attaches devices, including electrocardiogram electrodes, a blood pressure gauge, and a pulse oximeter, to the patients’ body, and monitors the readings throughout the procedure for the safety of the patients, including those with chronic conditions. Our anesthesiologist monitors blood pressure, electrocardiogram data, and blood oxygen saturation level. This means that patients, including those with high blood pressure and/or heart disease, can rest assured that responsible medical care is being provided with their well-being in mind. 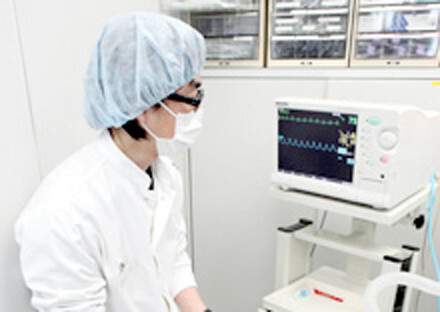 The Osaka Implant Center employs two full-time systemic management physicians specializing in dental implant surgery. Note: Systemic management physicians are also qualified to perform emergency life-saving care and they play an essential role in surgical treatment. We have never encountered an accident at Osaka Implant Center, though. 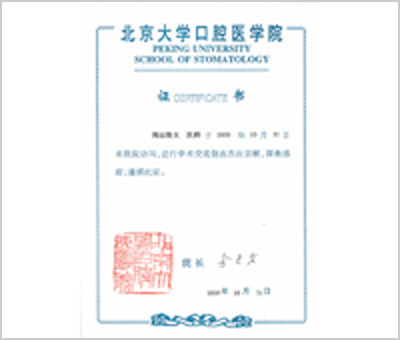 “Dental hygienist specializing in implantology ” is a certification issued by the Japanese Society of Oral Implantology to dental hygienists who meet certain requirements. Certification is granted only to dental hygienists who meet requirements including specialized knowledge in implantology, at least three years of experience in implant treatment, and a background in implant treatment assistance and maintenance. At Osaka Implant Center, we pride ourselves in employing certified dental hygienists specializing in implantology who possess not only a high level of expertise in implants but also a strong sense of responsibility and passion to continue gaining experience in implant treatment. Our certified dental hygienists specializing in implantology also take part in every operation, setting Osaka Implant Center apart from other dental clinics. Our goal is to maintain high standards in the operating room?right down to the quality of our staff members?and to provide safe, reliable treatment for our patients. 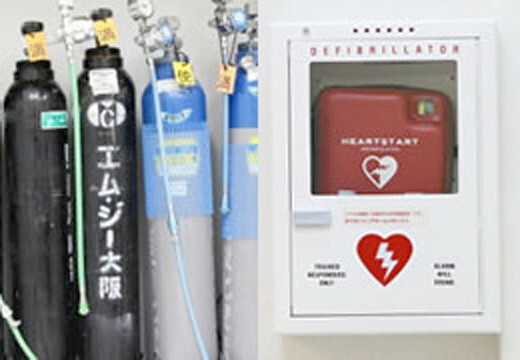 In order that patients receive safe medical treatment, the Osaka Implant Center is fully medically equipped with monitoring equipment, an oxygen inhaler, nitrous oxide gas (for inhalation sedation), and hygiene equipment. Before implant treatment is performed, it is essential to conduct a CT scan which allows our specialists to accurately assess the condition of the jaw bone, nerve locations, etc., and perform simulations using specialized software. 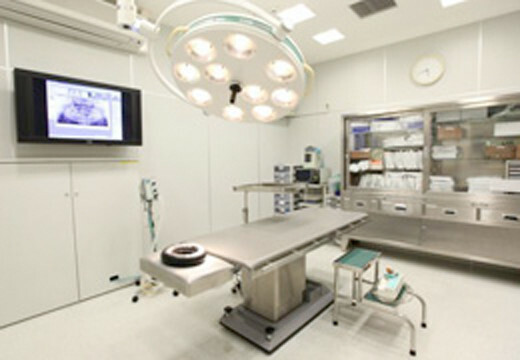 Surgical procedures are performed in our operating room. Compared to a standard room for medical treatment, our operating room has advanced equipment designed to control infection risk and cope with unforeseen circumstances. In order to provide safe and reliable implant treatment, a CT scan is conducted prior to treatment, allowing our specialists to accurately assess the condition of the jaw bone, nerve locations, etc. 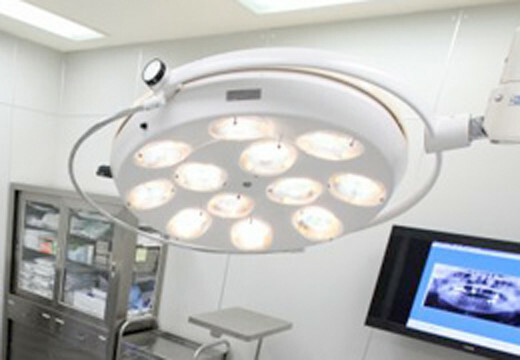 A key feature of our surgical light is that it does not produce any shadows, which means improved visibility. The monitor screen allows our specialists to view patient CT scan images to perform surgeries accurately. 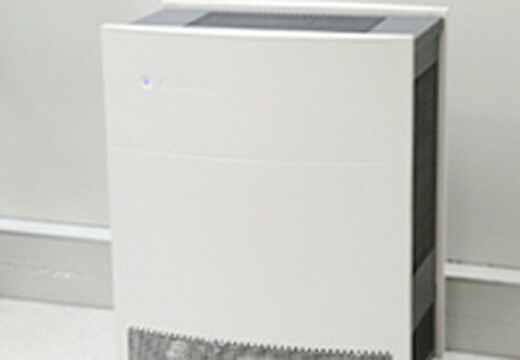 Keeps the air inside the operating room clean in order to prevent infections when surgical procedures are performed. 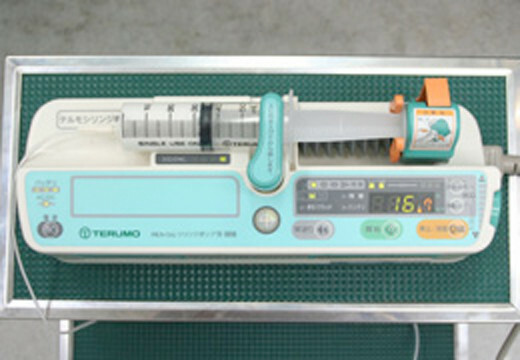 A syringe pump is a type of infusion pump which, compared to a standard infusion pump, allows for smaller amounts of fluid or liquid medicine at a higher concentration to be administered to the patient. 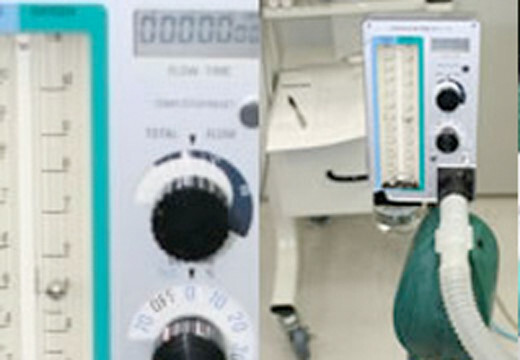 Compared to general anesthesia, nitrous oxide-based anesthesia allows for the patient to be safely sedated using a low concentration of anesthesia. This also gives peace of mind to patients who have a fear of dental procedures being performed. Constant monitoring of the patient’s vital signs during implant surgery allows us to always be prepared for any changes in the patient’s condition. Provided for immediate use in the unlikely event of a medical emergency.